Integrated hydraulic hoist is a motor as the power source, the motor forward and reverse drive the two-way pump output pressure oil, driven by the oil manifold block piston rod displacement reciprocating motion, in order to achieve the gate opening and closing function. 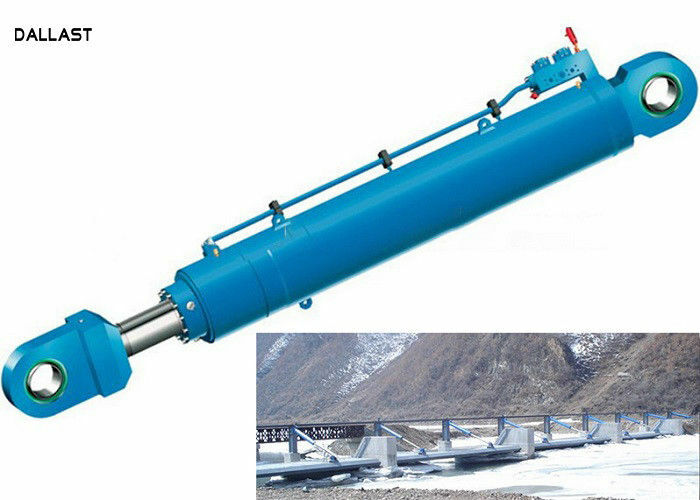 It is a hydraulic cylinder as the main body, respectively, by the pump, motor, fuel tank, oil filter, integrated hydraulic control valve, electrical control box and other combinations, according to hoist working characteristics of different hydraulic cylinders. Please provide hoist model, itinerary, installation form, opening and closing force, gate type (L: horizontal sliding door, P: plane gate, H: arc gate, W: gate under the gate,R: Miter gate), hanging points, opening and closing the gate speed and other related parameters.